Season 4 of Game of Thrones kicks off this Sunday night and what better way to show your allegiance to the powerful houses of Westeros than a handcrafted talisman. Created by Pyrrha, the unisex line of necklaces and rings are cast in reclaimed silver or bronze and are a super cool and fashionable way to really get into character. 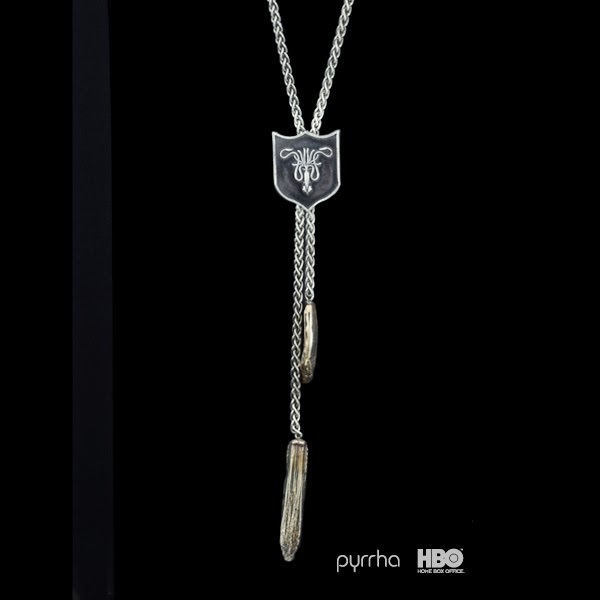 Priced between $98-$900, the conversational statement pieces let you know where your fellow Game of Throne fans serve their allegiance too. Whether you are House of Stark, Greyjoy or Lannister you can have a fun and fab time being the chicest geek in the room, just remember All Men Must Die.